An in-skirt three point rigging saddle is often considered a better saddle. Why, you might ask? 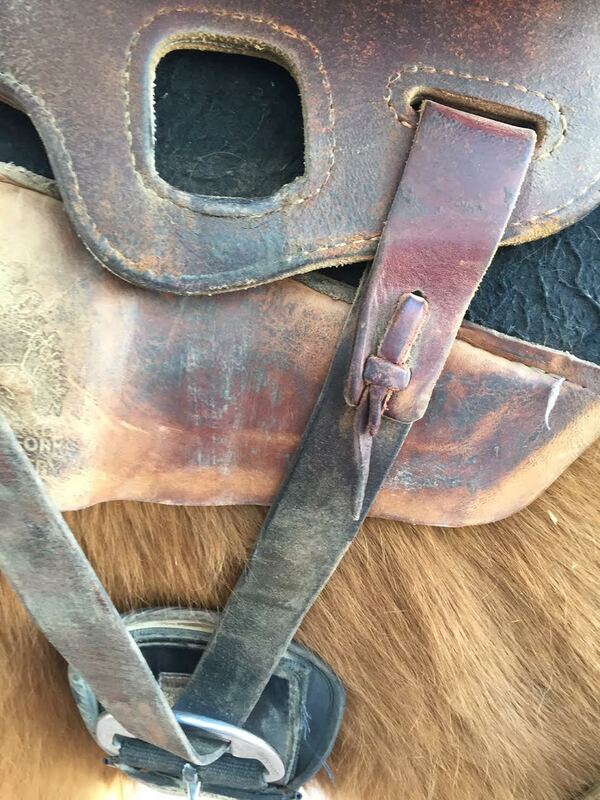 It distributes the torque of the latigo (the strap that goes from the saddle to the girth or cinch) and spreads out the contact of the saddle to the horse’s back. This increases the surface area that is being strapped down. However, incorrectly done, it can cause the saddle to ride unbalanced and often to lean to one side, or worse to drift to one side when ridden. All of these side effects can be uncomfortable to the rider, making them feel off balance. This is also very uncomfortable for the horse with potential of soring his back. Below are some pictures to demonstrate the proper way to cinch up a three point rigging saddle, so that the full benefits can be felt to both you and your horse. 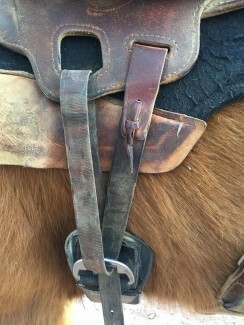 Attach the end of the latigo to the smaller and further back slit on the saddle. 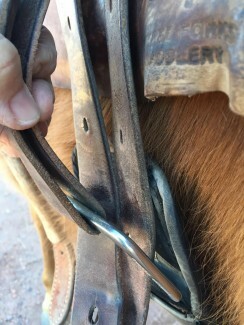 Then as you cinch your horse, use the larger hole in your saddle for the remaining cinching up. 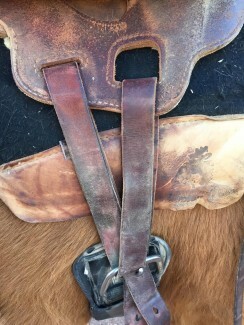 The off side or left side of the saddle has a shorter latigo and it wraps around the cinch, then splits and goes through both holes in the saddle. 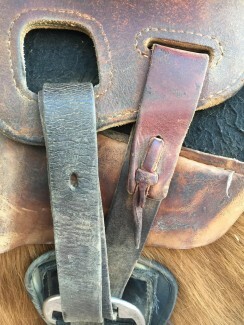 Note how the ends come back down together and buckle at the cinch.